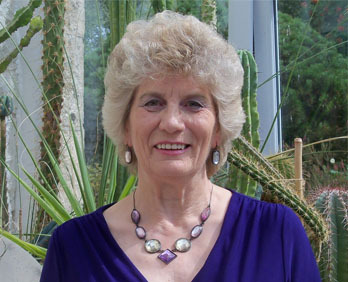 All about ME– well, not quite All. At Elsecar Heritage Centre. I’ve driven this!! Harder to steer than a steam roller. When we talk about the past, especially our childhood, people often say we are looking through rose coloured spectacles and, in a way, that is partially true. We tend to forget that the bath was made of galvanised tin and fetched up from the cellar on Friday nights to be placed in front of the fire and filled with hot water via a bucket — and emptied the same way! Using the outside water closet in the dark on a freezing winter’s night! However, it did us no harm, we are still here, hardy little souls that we were–are. Shock, Horror. That was the last thing we wanted! I hope you like my memories of village life in the West Riding of Yorkshire in the 1940s and 1950s. Where I was born and why there. 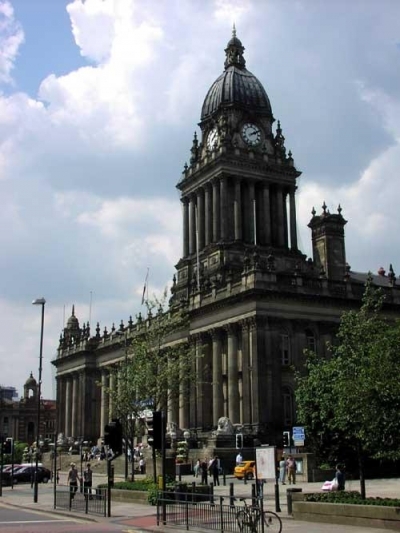 I was born near the end of the Second World War in the city of Leeds because when my Dad had been “Called Up”, the MOD had sent him to work at A.V.Roes in Leeds where they made aircraft. At the time I arrived, Avros, as the company had become known, were making the famous Lancaster Bombers and my Dad was one of the Inspectors who went up with the Test Pilots to check that each aircraft was fit to be passed to the RAF. (Other Lancasters were made in North America). The owners of the house we lived in had moved away to escape the bombing so it had been requisitioned to house people like my Dad because our village was too far away. The house had a Baby Grand piano in the lounge and Mum told me that she and I often sheltered under it at night during the bombing raids because the house had no cellar and that one morning when she went out, our houses were in the centre of a circle of bomb craters. It took 200 gallons of petrol to get into the air. I remember seeing films of them taking off. They lumbered down the runway, their 4 Merlin Rolls Royce engines thundering and roaring (you could always tell a Lancaster by the sound of those engines) and you thought they would never lift off. Dad said that that was always a nail biting time. But they were good aircraft with fantastic pilots. 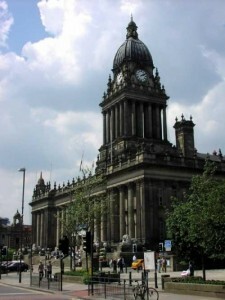 I remember seeing one in City Square, Leeds. I must have only been about 4 or 5 years old. We had been to see our old neighbours and as we approached the Square we saw that it was lit by flaming torches and a Lancaster was there in the center. There were queues of people waiting to walk through it, so Dad parked the car and we joined them. We climbed a ladder up into the bomb bay and walked towards the front. There was no floor (that would have been added unnecessary weight), Dad had to lift me over the struts that held the sides together. We came out via the normal door. The only other thing I remember about it was the radio receiver. We had one at home. Dad had bought one and converted it to run on mains electricity instead of on the aircraft batteries. It was a really good radio. We could get stations as far away as Moscow. They used to play Cosack music! Unfortunately it burst into flames and gave up the ghost one day when I was 16. I unplugged it and shot outside with it as fast as I could and then doused it with water. That was the end of that! However, about ten years later, Dad saw one advertised in Sheffield so we bought another one and he coverted that. We still have it! 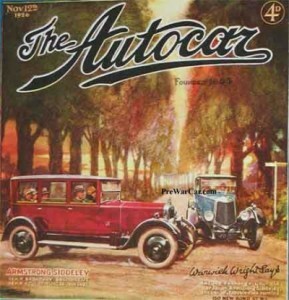 Our car was a 1926 Armstrong Siddeley. The radiator cap was a seated sphinx, the horn (literally) went “Ahooohaah” like on the old black and white films, It was high, it had running boards and a black wooden body, red leather seats and narrow wheels. Another memory of returning home from Leeds, was related to those wheels. One of them got stuck in a tram line and we went left instead of straight on! I remember Dad wrestling with the steering wheel to jump us free! Good job he got us out before a tram came! Elsecar.– Where I’ve lived for most of my life. Village life in the 1940s, ’50s and early ’60s. 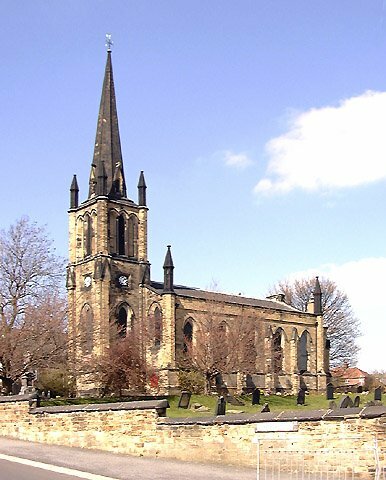 I grew up in a village called Elsecar, about half way between the town of Barnsley and the city of Sheffield, in the township of Hoyland Nether. 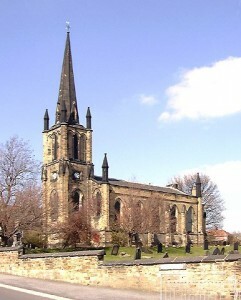 Elsecar is the village in the watermeadows or Carr belonging to a Saxon named Else —Else’s Carr. Hoyland Nether is the small town on the High Land above. As we are in the foothills of the Pennines, there are several Hoylands so they have a description tagged on. eg. Hoylandswain, High Hoyland, Upper Hoyland etc. Our Hoyland is the “low” one — Nether (like The Netherlands are the Low Countries). Every Spring the Sunday Schools had their Sunday School Anniversary. We practiced new hymns and anthems for weeks and then us and the adults “performed ” them in our Church or Chapel. We all attended everybody else’s Anniversary. If the Anniversary was before Whitsuntide, we got our new clothes then, otherwise we got them for Whitsunday. 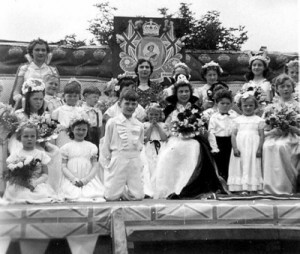 Whitmonday was the start of Elsecar Feast Week when Tuby’s Fair arrived. We saved our pocket money for weeks so we could enjoy the roundabouts etc and buy Wainwright’s Ginger Snaps! When I was old enough for the “Grown-up’s” rides, my favourites were the Noah’s Ark ( where we bravely rode it standing there in our stilletto heels and not holding on, copying the lads who collected the money) and the Flying Chairs. 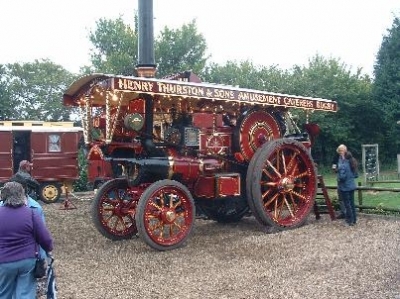 During the 1950s the roundabouts were powered by steam traction engines. Beautiful machines with shining brass barley-stick struts holding up their canopies. As it grew dark, coloured bulbs all over them started to light up. They also had a distinctive warm, wet, oily smell which added to their allure! You can tell I’m a steam buff, can’t you? The photo in the introduction is of an agricultural steam engine from the Prairies. 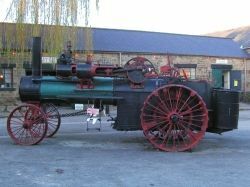 It was restored by a fellow member of the Cortonwood and Elsecar Project group and is in the Elsecar Heritage Centre. The fire box is huge because the fuel originally used was straw. We burn coal so he used fire bricks to make it smaller. “things” to come to an Event if one can’t take advantage of the oportunity!) because the wheels are very narrow compared to its size and each bump nearly wrenches the wheel out of your grip. I did say I liked steam engines, didn’t I? 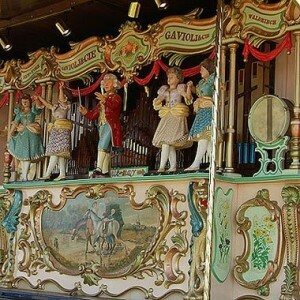 The music came from Fairground organs, also powered by steam, and we would watch with fascination the figures “playing” the instruments and dancing. That week was also The Hoyland, Elsecar and Harley Hospital Sunday Week when we raised money to provide extra equipment and comforts in the Sheffield hospitals. We put envelopes through doors and adults collected them two days later. Stiffened cloth flowers on pins were sold in the street and in the Pit Yard. Collection tables were set up at the entrances to the Feast Field. Sunday was Hospital Sunday and a huge parade, led by several Brass Bands, marched from Hoyland down to Elsecar Park. 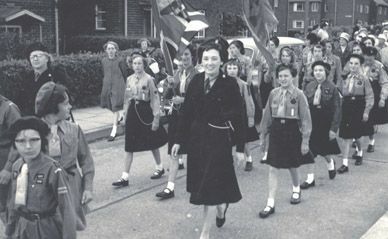 It was made up of the Hospital Sunday Committee ( the Doctor was Chairman and Dad was the Treasurer), Councillors, Police, Ambulancemen, Firemen complete with gleaming Fire Engine, St. John’s Ambulance Volunteers, Boy Scouts and Girl Guides –flags flying–(I carried one when I was older), Cubs and Brownies, the Sunday School Queens and attendants enthroned on the Coal Leaders’ lorries (especially cleaned for the occasion), and representatives from the Workingmen’s Clubs etc.etc. The Sunday School Pupils joined as the parade passed close to their Schoolrooms. Everyone else joined those walking beside the Parade as it reached them. By the time we got to the Park for the Service there would have been upwards of a hundred and fifty people. The churches and chapels provided the social life of most of the community and it was family orientated. Some men of course went to the pubs and Workingmens’ Clubs but many of the miners were chapel-goers and as such were teetotal. We had Harvest Festivals where we took produce from our allotments to the Service and then, on the Monday we had a Harvest Supper provided by all the mums, before raising money for the funds by auctioning off the fruit and vegetables . (Mr.Horace Moody’s beetroots and King Edward potatoes were always hotly pursued, as were the cakes made by certain ladies!) Then we had a party where we danced and played games. On the Saturday before Christmas we had a big party in the Sunday School Schoolroom. A huge tree, at least ten or twelve foot high, had been erected on the stage and Father Christmas came and gave each of us a present off the tree. On New Year’s Eve our Church held a Socal with food, dancing and games before we went into the Church at half past eleven for a “Watchnight Service”. Mum always left a piece of coal, a sprig of Laurel and a small bottle of whisky by the gate. Dad picked them up and went into the house first. We didn’t have to wait for anyone else to “First Foot” because Dad had dark hair. In case you are not familiar with this custom, the coal represented warmth, the Laurel (evergreen) represented life and the whisky stood for health. (It’s a good medicine). Tuesday night was Youth Club night from 7.00 to 9.00 pm. My Dad was a Sunday School Teacher and he also ran the Youth Club. He had been “into” electronics from childhood (he made a crystal radio — cat’s whisker – -when he was ten), so he had set up the record playing equipment and we listened to and danced to the new Rock n’ Roll music that we were all crazy about. Our Church had a Sisterhood meeting every Monday afternoon. 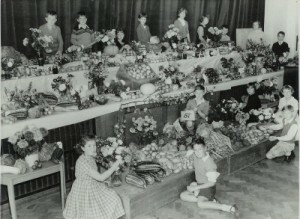 They had Speakers, they made/sewed things which were sold at the Autumn Fair, they took us children to the seaside and organised food at all the social events. There was also a group called The Goodfellows, both genders, who put on musical shows and the pantomime. When I was Seven years old, the pit was extended, a new estate was built for the miners who arrived from Wales and Scotland and the size of the village doubled! Although things happened gradually, this was the beginning of the end of village life. I know that my generation have had the best. We grew up safe, in real communities where people cared and looked out for us and we’ve enjoyed the growing benefits of all the new technological changes, with a rise in living standards and travel that previous generations didn’t have. the latter have come at a cost — along the way we’ve lost the security and warmth of those earlier days and now live in a world where chronic ill-health is the “norm”. For the sake of our children and grandchildren, we need to change this. I have already started. Care to join me? ?